Cohiba Atmosphere - Cigar Club - CC-CLUB Praha, z.s. 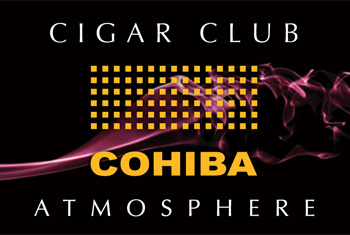 Cohiba Atmosphere - Cigar Club – CC-CLUB Praha, z.s. (hereinafter referred to as the “Association”) is a legal entity operating under the legal regulations, as in force, applicable to associations contained under Act No. 89/2012 Coll., Civil Code, as amended. The Association has its registered office at Kaprova 5, 110 00 Praha 1. The Association is a self-governing and voluntary grouping of members, natural persons and legal entities, through which the members associate in order to support smokers, cigars and other tobacco products as well as people interested in these sorts of activities. The aim of the Association is to promote certain changes to prevent the ban on smoking tobacco products and electronic cigarettes in indoor areas open to the public, inside indoor entertainment facilities such as cinemas, theatres, exhibition and concert halls and sports halls and other indoor areas during cultural and dance events, and inside the indoor catering facilities. The members do not provide any guarantees with regard to the debts of the Association. In its activities, the Association is governed by the present Articles of Association, decisions of its bodies and Act No. 89/2012 Coll., Civil Code, as amended. The founding members comprise the supreme body of the Association. The founding members are Mr. Jiří Šubr, born on 23 May 1957, residing at Národní obrany 823/37, Bubeneč, 160 00 Prague 6, Mr Roman Cibulka, born on 21 July 1972, residing at Malešická 2855/2b, Žižkov, 130 00 Prague 3 and Mr Ladislav Starka, born on 3 March 1971, residing at Na Příkopě 12, 110 00 Prague 1. The supreme body convenes at least once a year to discuss the matters listed below. h) resolves other matters entrusted to its scope of competence by the present Articles Association. The term of office of a Board member is one year. Based on their importance and their contribution to the Association, certain members may be inducted into the Board as honorary members for an indefinite period of time. The Board of the Association must have at least 3 members. Among them, they elect the Chairman and the Vice Chairman. If the number of Board members falls below 3 during the term of office, the Board may co-opt new Board members, and the Board Chairman is required to convene a meeting of the supreme body of the Association within 60 days to elect the new Board member. Mr Jiří Šubr has been elected the first Chairman of the Board. The Chairman of the Board convenes a Board meeting at least once in every three months. d) convenes a member meeting at least once a year. The supreme body also elects the Administrator of the Association. The first Administrator is Mr Jan Mulač, 20 February 1975, residing at Karla Hlaváčka 4, Prague 8, 180 00. The Administrator of the Association mainly performs the executive function. The term of office of the Administrator is three years. The supreme body also elects the Secretary of the Association. The first Secretary is Mrs Alena Kopečková, 15 July 1960, residing at Radějovice 424 E, 251 68. The Secretary of the Association keeps records on individual members, especially their residential addresses and phone numbers. The term of office of the Secretary is three years. The Association is externally represented by the Chairman of the Board, the Vice Chairman of the Board or every member of the supreme body, all of them acting independently. Any legal entity or a natural person over 18 years of age, residing or having permanent residence in the territory of the Czech Republic may become a member of the Association. Membership is established on the day the Board of the Association decides to accept the applicant on the basis of their written application. The application must include: name and surname / trade name / company name of the applicant, date of birth / ID No., residential address / registered office address, contact e-mail address for correspondence, phone number, date of submission of the application and the handwritten signature of the applicant / statutory representative. The supreme body may lay down additional conditions for applicants to become members of the Association. Except for honorary memberships, membership is conditional upon the payment of an admission fee as specified under Art. V of the Articles. Membership in the Association is tied to the members themselves, while for legal entities, it passes to their legal representative. Membership in the Association does not prevent the member from being a member of other associations or groupings. Once accepted as a member, the person concerned is required to pay an admission fee within 30 days of receiving the notice of admission as a member of the Association. The admission fee is CZK 100,000. If the admission fee is not paid within the time limit specified, the membership will not be deemed to have been established in the first place. Each member of the Association is required to pay a monthly membership fee of CZK 10,000. The membership fee is payable within 14 days. If their membership expires during a calendar year, the former member is not entitled to a refund of a proportionate part of the membership fee. Membership expires on the day the former member receives a written notice of expiry of their membership in the Association. Membership in the Association will expire automatically if the former member fails to pay the membership fee, namely on the day the member of the Association occurs in delay with the payment of the membership fee. Membership in the Association expires with the death of the member or with the winding up of a legal entity who was a member if there are no legal successors. The Board may expel a member who has committed a material breach of their membership obligations and has not remedied the breach within a reasonable grace period, despite the Board’s request. The request is not required if the breach cannot be remedied in any way or if it has caused serious harm to the Association. A notice of expulsion shall be delivered to the expelled member, taking effect on the date of the relevant decision of the Board.- The expelled member has the right to be communicated the reasons for their expulsion and demand in writing, within 15 days of the receipt of the expulsion decision, that the decision to expel them be reviewed by the supreme body. Each member expresses their agreement to the present Articles and undertakes to adhere to them. At the same time, each member undertakes to adhere to the rules and decisions adopted by the bodies of the Association. Each member shall receive a certificate of the Association and a membership card with their non-transferable registration code authorising them to enter the premises of the Association and benefit from the perks available to members of the Association. A member has the right to take part in the activities of the Association, use its cultural and sports facilities and related services, in particular to benefit from the perks available to Association members provided in this may. Each member of the Association may bring no more than three guests with them to the premises of the Association. A member of the Association and their guest have the right to smoke all tobacco products using any smoking aids, including smokable herbal products and electronic cigarettes. Each member entering the premises of the Association is required to wear social clothing. (Members wearing shorts, overalls and sportswear may be denied entry). The Association may be transformed using the mechanism specified by law. The Association may be dissolved through a resolution of the supreme body dissolving the Association with liquidation. The resolution must be adopted by all its members at a meeting of the supreme body. The Association may be wound up using any of the mechanisms provided for by law. As specified by law, the Association may be liquidated by a liquidator appointed by the supreme body. In the event of a winding-up of the Association, its remaining assets after the liquidation shall be divided among members of the supreme body. Issues not regulated under the present Articles are governed by generally applicable legal regulations, in particular Act No. 89/2012 Coll., Civil Code, as amended. The full text of these Articles was approved by the founding members on 12 June 2017. The Articles take effect on the day they are adopted. - Involvement in every CCC actions (presentations, thematic evenings, seminars and trainings). - Possibility of rent of own „humidor“ or „cognac and rum locker,“ which keep ideal environment for conserving cigars and distillates. Number of boxes is limited. Price for rent is 5. 000 CZK. - Sales for CCC members in others companies of GASTRO GROUP co.